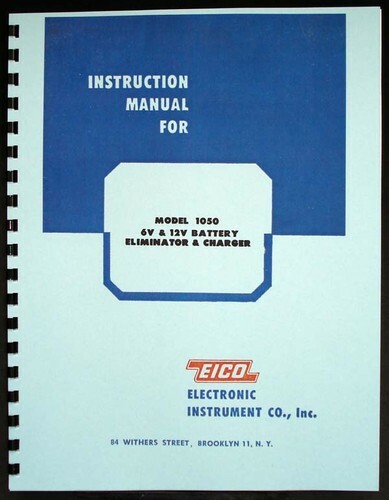 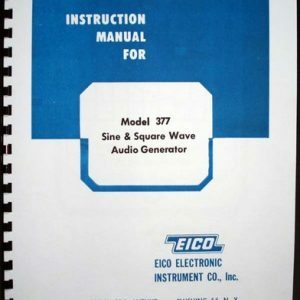 For sale is reprint of EICO 1050 6V & 12V Battery Eliminator and Charger Manual. 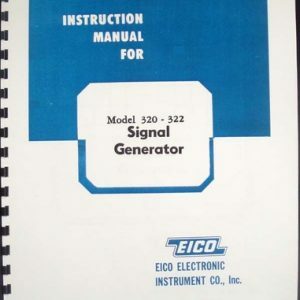 Manual is 6 Pages long and includes circuit diagram. 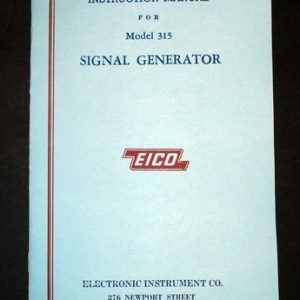 Sections include: General Descriptions, General Instructions, Operation. 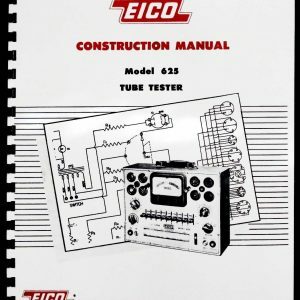 The Eico Model 1050 is a dual-purpose DC power supply in that it provides two ranges of continuously variable, low DC voltage at high current.